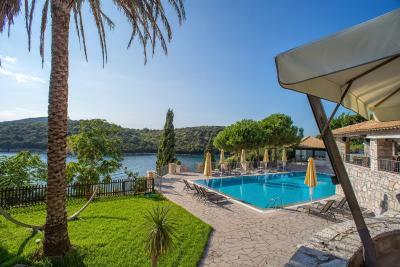 Lock in a great price for Domotel Agios Nikolaos Suites Resort – rated 9.1 by recent guests! A fine choice even for a business trip! Very good wifi connection, and spacious room that you can work on. The view is amazing! You can relax from the first minute you step your foot in the resort. Very good breakfast and food with lots of Greek tones in it. I will definitely go again for vacation there! Junior suite with private pool was really amazing! View from the room was perfect. 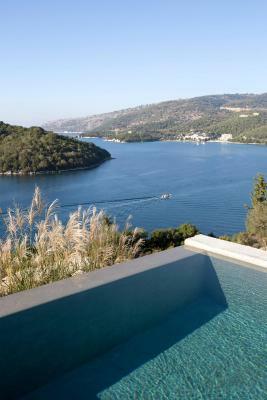 amazing view from our room, very quiet hotel, beautiful swimming pool and a private ponton to read by the sea. Very clean, well decorated. Excellent breakfast on the terrace from the restaurant. The location and the view were amazing. We had the junior suite with the pool which was very comfortable and recently built. The bed was very comfortable and the setup of the room was modern and well thought through - lots of attention to detail. All the facilities and the room were very clean incl the pool. Amazing hotel!!! Everything was perfect!!! Very clean very helpful and nice smiling personnel!! 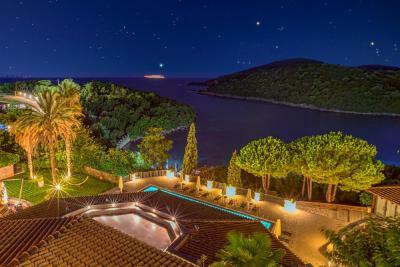 The best place for romantic relaxing vacation!!! We will go back soon!!! This hotel is for couples and must have is a car. Amazing, helpful staff in both pool bar/restaurant and also beach bar. Fabulous beds. Quality of fittings in the rooms worthy of 5 star rating. 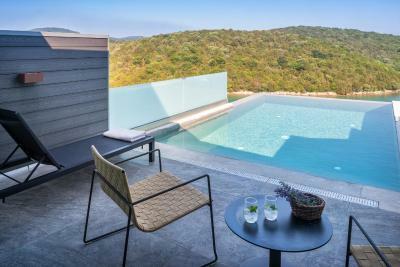 Domotel Agios Nikolaos Suites Resort This rating is a reflection of how the property compares to the industry standard when it comes to price, facilities and services available. It's based on a self-evaluation by the property. Use this rating to help choose your stay! 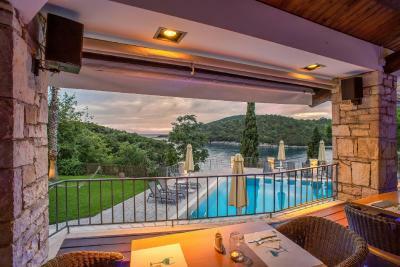 One of our top picks in Syvota.Overlooking the endless blue of the sea, Domotel Agios Nikolaos is located in the lush area of Sivota. 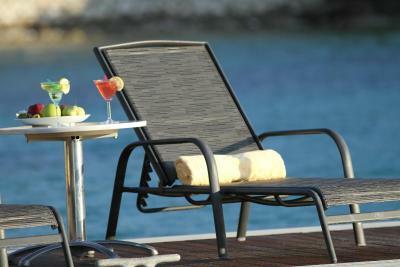 With its private beach and beach bar, the hotel features an outdoor pool with panoramic sun-lounger terrace. Each with a furnished sea-view balcony, the elegant rooms have an extra-long bed with natural mattress and a 32-inch satellite TV. Amenities include a mini-bar, air conditioning and branded personal care products. 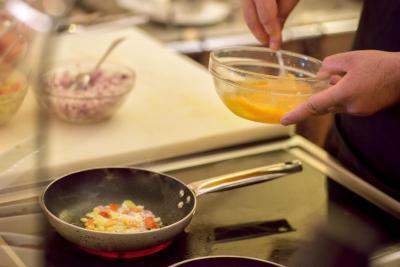 Your day at the Domotel Agios Nikolaos starts with a rich buffet breakfast. For a fruit salad, or a light lunch guests can head to the pool bar or the beach bar. 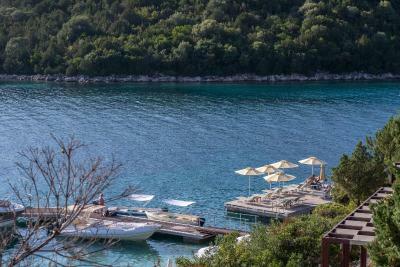 The hotel is 0.6 mi from the center of Sivota. The city of Parga is at 18 mi and Acherodas River is 16 mi away. 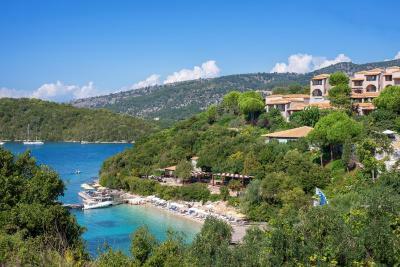 Excursions to nearby beaches and little islands, such as Paxoi, are organized by the hotel. 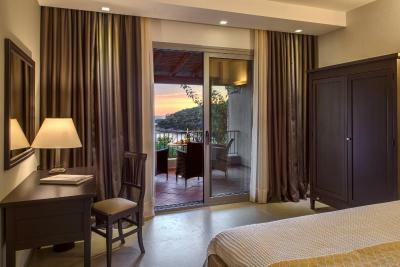 When would you like to stay at Domotel Agios Nikolaos Suites Resort? This spacious room offers private balcony with sea view, free Wi-Fi, TV and air conditioning. The spacious one-bedroom suite offers a private balcony with sea view, free Wi-Fi, TV and air conditioning. The spacious suite offers a living room, private balcony with sea view, free Wi-Fi, TV and air conditioning. 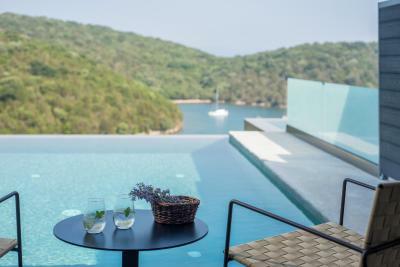 This suite has a private pool, sea view and mini-bar. This suite features a sofa, flat-screen TV and air conditioning. 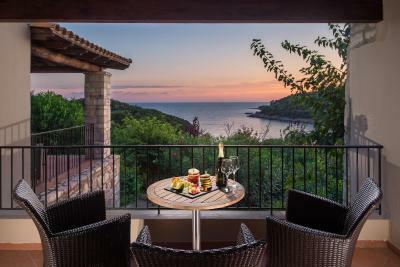 Over the deep blue Ionian Sea surrounded by a verdant and captivating environment, the luxury resort Domotel Agios Nikolaos in Syvota, Thesprotia, influenced by Tuscany and arte povera, is the ideal destination both for couples and families. 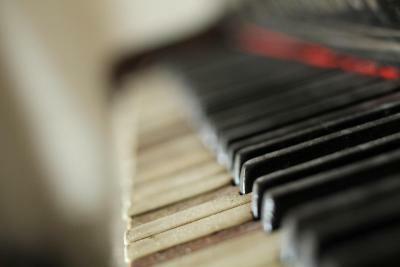 House Rules Domotel Agios Nikolaos Suites Resort takes special requests – add in the next step! 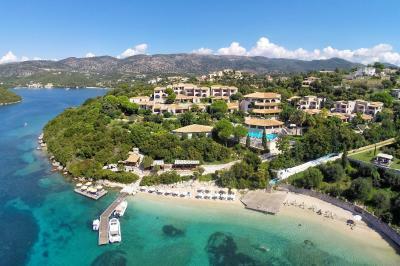 Domotel Agios Nikolaos Suites Resort accepts these cards and reserves the right to temporarily hold an amount prior to arrival. Please note that dinner supplement for children up to 10 years old is EUR 12. Pets up to 5 kg can be accommodated upon request and availability. Please note that junior suites cannot accommodate any pets. Please inform Domotel Agios Nikolaos Suites Resort of your expected arrival time in advance. You can use the Special Requests box when booking, or contact the property directly using the contact details in your confirmation. The vegetation in front of the private pool was not pruned! It blocked the wonderful view!!! 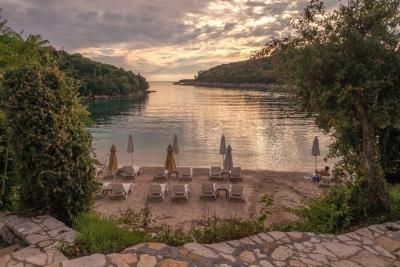 Services and staff: I had already stayed in Syvota and realized that after 11pm it was not possible to eat anywhere! So an hour before arriving I called the hotel to have a reservation in a restaurant because it was late; a woman assured me there was no problem to eat even after midnight in Syvota and that the reservation was not needed; instead, on arrival (around midnight) at the hotel, an other staff member realized that it was not possible to eat anywhere after several attempts at booking. unfortunately, according to a previous experience, I was right. It was my birthday and I had to settle for a fruit salad and a cup of ice cream; in a 5-star hotel this must not have to happen! In a 5 star hotel customers can eat at every time (night and day) with room services; moreover, staff must be assured of what they say before giving false informations to customers who only bring discomfort and damage of image to the hotel !!! Wi-fi didn’t work properly in the room; TV service should be better provided, more & better channels as well as better TV screens to go better with the level of the resort’s qualities! A bit over priced considering the fact that the there is some room for improvement visible in some details of the service. (eg. reception and explanation given to the guests, rich variety at the breakfast but no fresh orange juice, lack of flexibility in the food offering between the beach bar and the pool bar). A gym would have been nice to have. Access to the breakfast and the beach was difficult for strollers (lots of stairs). Old fashioned furniture. Terrible WiFi connection and no telephone signal/ be prepared ! . Too expensive (!!) for what it offers. Good breakfast. Nice pool. Comfortable beds. The private pool was private but not at all secluded. Six different hotelrooms had their balconies overlooking our poolarea. We felt like monkeys at the zoo. Big dissappointment since it was a very expensive alternative we paid for. Also there were no hotwater boiler nor any complimentary coffee and teabags, something you expect from a 5 star hotel to offer including to be replenished daily. The layout of the juniorsuite was perfect.